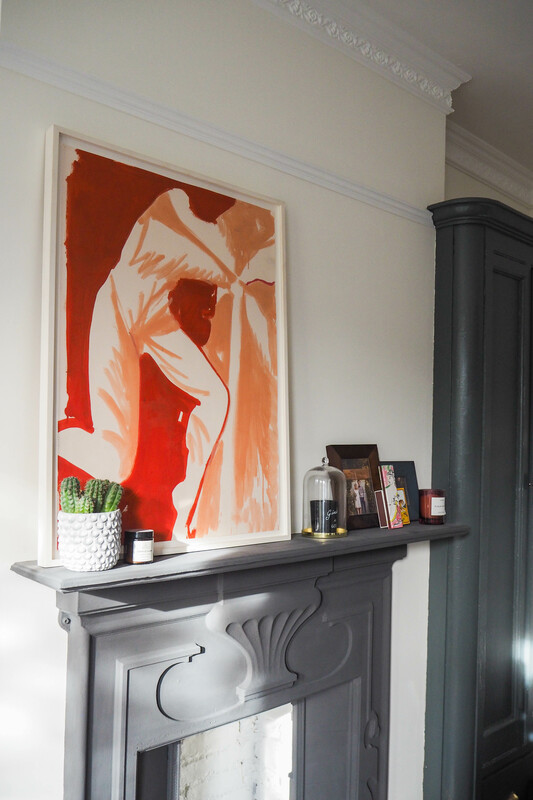 There is nothing I love more in decor than filling your home with personality, and for us, that’s with art and prints. I often find the term ‘Art’ quite an umbrella term, can we call it Art if we got it from a High Street store? Or do we have to call it a print? For the sake of argument I’m calling it all Art because frankly, in my house it all makes a statement and is loved by us – we frame anything. But that’s also not to say we don’t care about art and artists – in my opinion you can love both commercial pieces, High Street pieces and still care about original artwork and the creative process. As in most homes, we have a bit of both. 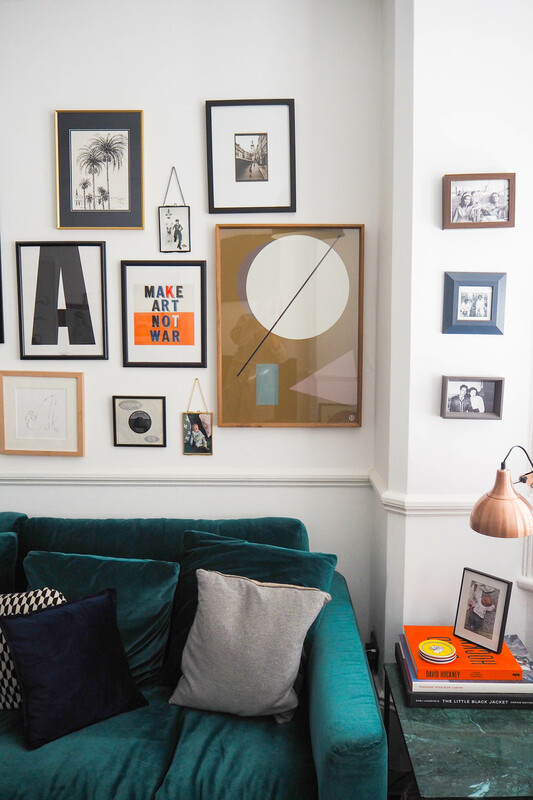 Funnily enough, this collage wall in our living room was never supposed to be anything but a place to store pictures as we had loads waiting to be hung just piled up on the floor. By next month most of these will have dispersed amongst our new hallway and these walls will be almost bare again…but the beauty of this wall is that every time we move a picture we have replaced it with something else (a photo from a holiday, a postcard in a frame, a print bought from a friend) and it has made the room look different every time. 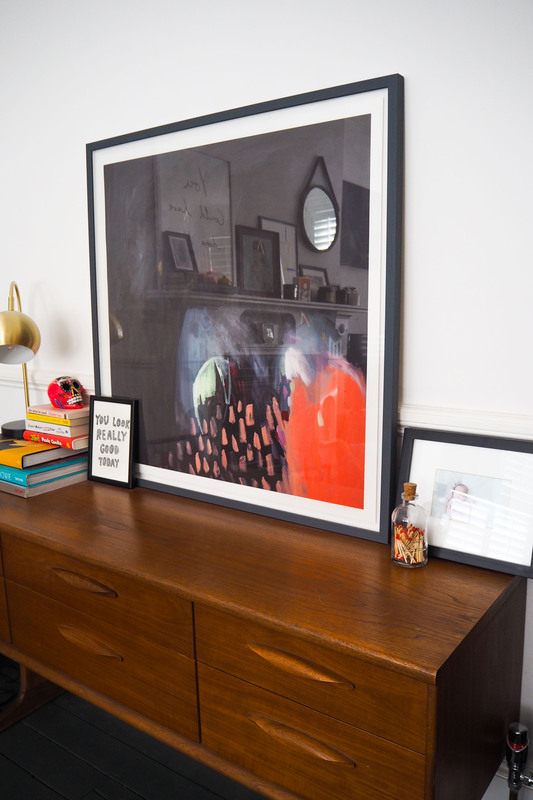 For me, the crux of a decent gallery wall is different size pictures and frames – it keeps your eye wandering (which is a good thing, in my book!). This website’s ethos is ‘Art For All’ and specialises in affordable original art by upcoming artists – I have bought a few from here (Jonathan Schofield, Alexandria Coe and more recently, and yet to be framed, Venetia Berry) and it is always on my list for birthday and christmas presents. It’s not cheap but you are buying original pieces here, and you can get some for around £100 – and for someone who is starting to build a collection and will keep them forever, it’s the best site in my opinion. The key to styling art is to buy things you love, and don’t worry about it ‘fitting in’ or fitting a trend. 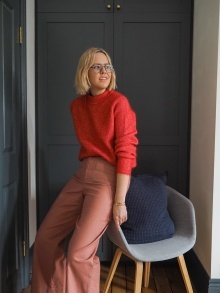 Often, I love the mix of affordable pieces slotted in with more expensive ones – and if you love it, it will turn into your style. Clockwise from left: Painting a wedding gift from friends: Theo Platt. Print: £14.50, Etsy. Drawing: Alexandria Coe at Partnership Editions. Print Club sells Limited edition screenprints, all highly curated so you know you’re buying into something decent if it’s on their site (they even do more affordable prints of Alexandria Coe’s work). I have Jeannie Phan’s ‘Synchronised Swimmers’ in our hallway. 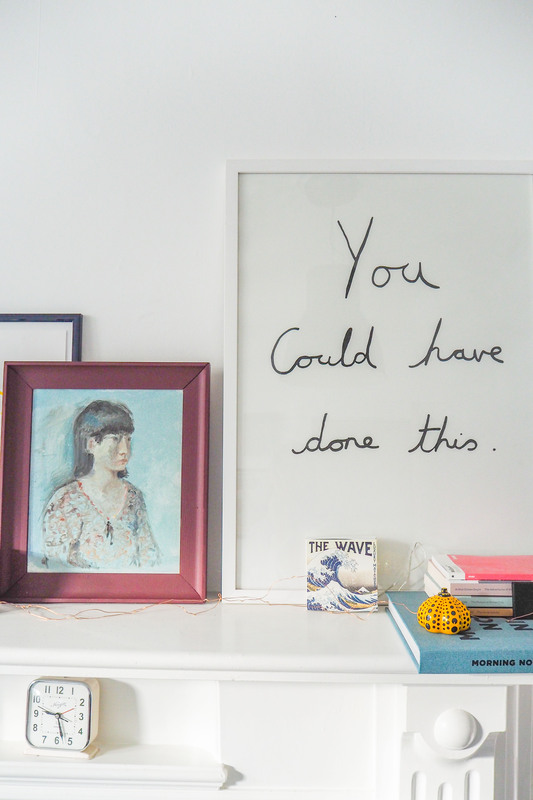 Anything can be framed: it doesn’t have to be art or anything or worth loads. One of my favourite pieces in the photo above is the map of LA which I bought whist in the US for $1 and framed it when I got home. I love that it evokes memories for me. 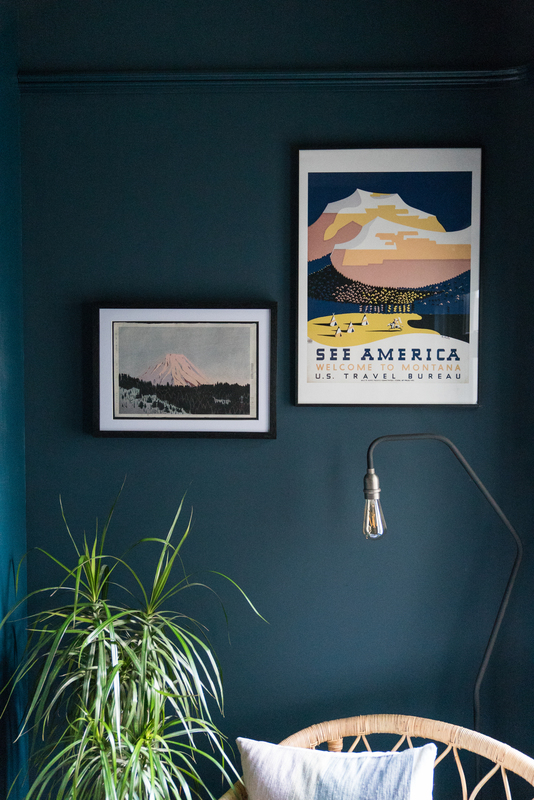 And memories play a huge part of pictures for me, I love buying prints whilst away as I can associate it with the trip, the mount Fuji image we bought from an antiques shop on the same road as our hotel in Kyoto. Then our friend (from Sharp Objects) framed it beautifully for us. Don’t be afraid to find artists you love via Instagram. For many, it is a great way to showcase their portfolio. Through the platform I have found loads of artists, including one of my new favourites Isabelle Feliu. Other Insta brands I love are Hotel Magique and Lola Donoghue. Print: Isabelle Feliu via Society 6. 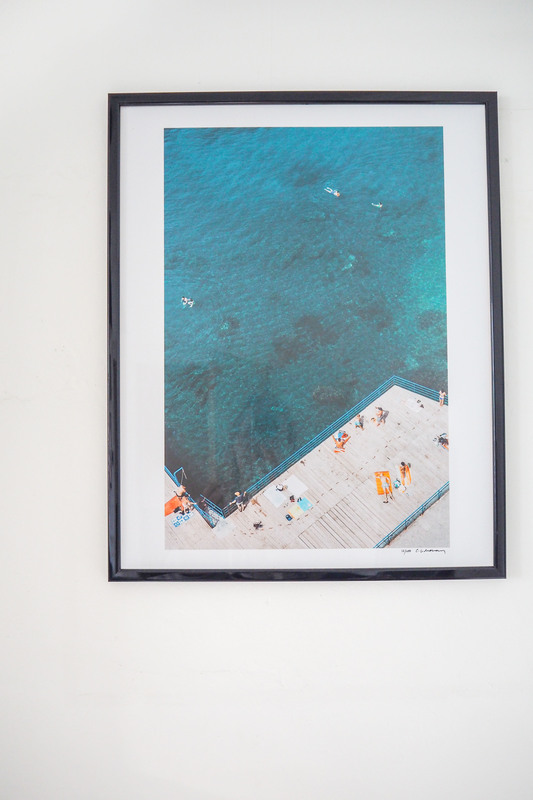 ‘Synchronised Swimmers’ print: Jeannie Phan via Print Club London. Pink print: Hotel Magique. Map: bought in LA. 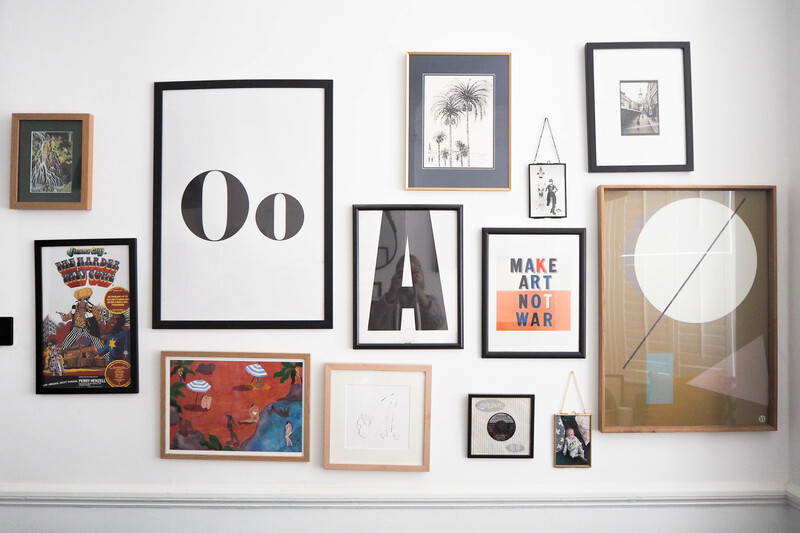 Don’t worry about not having a gallery wall immediately. most of our print collection has grown over the years – we’ve been together 10 years now and have been collecting slowly. There’s always more of a story that way, too. Auctions to me, seem scary. The Art auction world just seems like a faraway place, but The Auction Collective is changing this. They run pop-up exhibitions by under-represented artists with auctions are open to everyone, no buyers commission, and they explain bidding (which you can do online) in layman’s terms. All the art is also sold framed and ready to hang, so takes an extra layer of time and thought off your hands. Print (which I got framed at my local framer on Wood Green high Road): Lola Donoghue. Small print: an old Fashion Week invite by Markus Lupfer. I have mentioned this site before, but I love the concept of buying from a lesser known artist but getting something equally as beautiful. The collection is quite vast, so you have to sift – but I keep looking at Jacqueline Westland’s oil paintings which are truly beautiful. 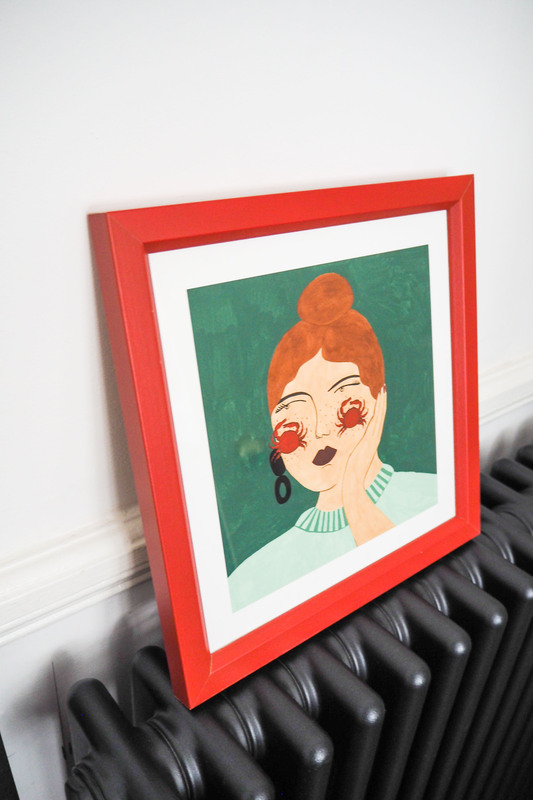 Painting, salvaged from a house (I painted the frame with a tester pot of Farrow & Ball’s ‘Preference Red’). Limited Edition print: Sarah Maple via The Other Art Fair. Art fairs are so much more than a commercial venture these days, they’re a day out, a place to be inspired. Even if you’re not buying, Frieze is definitely worth a visit one year, but for a buyer I can highly recommend the Affordable Art Fair (obviously, the term ‘affordable’ is used relatively here), or my favourite: The Other Art Fair. A few years ago, I picked up the Sarah Maple print from here, and since she has gone on to feature on the cover of this month’s Harper’s Bazaar and be included in The Royal Academy of Art Summer Exhibition (curated by Grayson Perry). Last month, I noticed a man carrying the most beautiful piece of art on the tube, I asked him about it and it turned out it was one of his paintings – Benjamin Parker – and he was on his way to sell at The Other Art Fair! We had such a lovely chat about art and Japan (his work is very Japan inspired) and it made me smile at the wonderful art world and how it can really bring people together. We’ve vowed to visit his studio in Walthamstow soon. Photograph: Claire Menary for Pampelone. Don’t be afraid to buy ‘off the peg’. It’s not all about original watercolours picked up from a little place in Marrakech, often it’s just a ‘buy because you like it type of affair’. I have bought prints from carboot sales, High Street shops, prints from Etsy, framed old records – if you like it, frame it! Or just stick it on the side, I have postcards I love just leaning on my fireplace, or pages from magazines stuck to my office walls with washi tape, which all adds to my inspiration. Stores selling great prints are: Vespiary, Habitat, Desenio, Tate, Paper Collective, Your Type Print, Etsy (I like ArteHausPrints) and Society 6 (I got stung on shipping charges the last time I bought from here but apparently they refund it, so am currently looking into this!). Totoro print: Society 6. Linen rainbow: Wonder & Rah. This is an interest-free scheme which allows you to borrow up to £2500 to purchase certain art (they’ve partnered up with particular fairs, galleries and stores (Art Republic is part of it) – you can browse online) and pay it back over 10 or 20 months. There is also Own Art Plus etc which allows bigger loans. A great incentive. 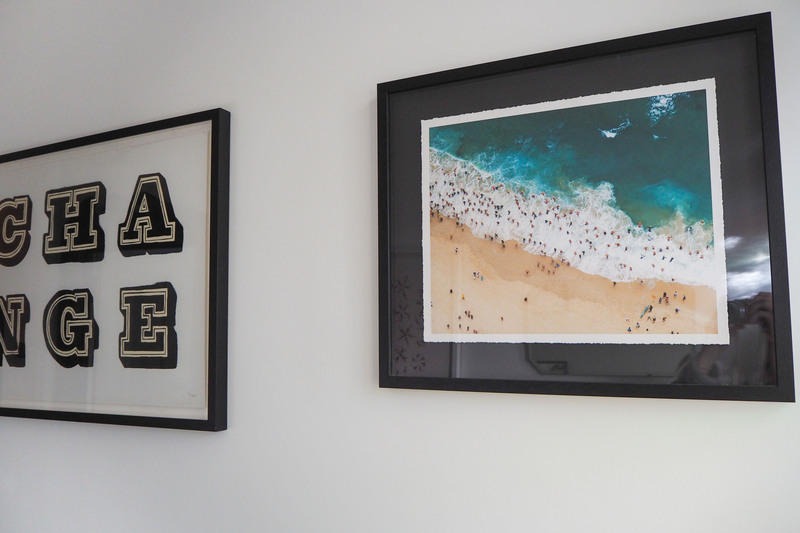 ‘Change’ print: Ben Eine at Nelly Duff (this has gone up a lot since I bought it). Beach photograph: Tommy Clarke at Lumitrix. And finally: framing. I don’t buy my frames from Ikea anymore, sorry, I love Ikea but their frames have become quite cheap looking and I’ve noticed a few of mine bow after a while. The alternative for me has been Habitat, I have bought so many frames from there lately and the quality is superb. I particularly like the oak ‘Trieste’ and the gold ‘Kupari’. 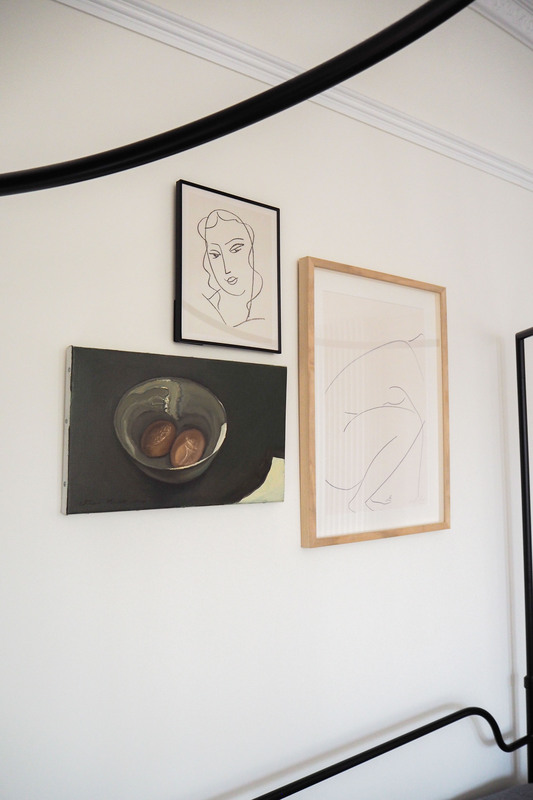 I have also taken a few to my local framer (especially to have a few, like the Lola Donoghue one, ‘floating’), I got a few hanging ones from Matalan and now use EasyFrame for mounts and frames. Who knew I would become such an expert on frames and mounts?! Mounts is something I never knew about before but the site makes it so easy – you can even upload your photos to see how it would look. I’ve since become a bit obsessed with coloured mounts now – it can really make a plain piece jump out. 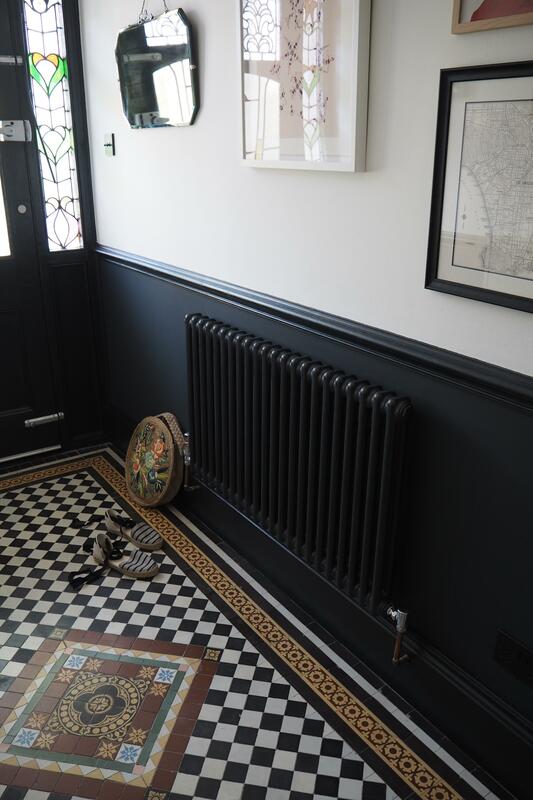 And we’ll finish putting up some pictures in the hallway next week so tune in on stories if you fancy! Ooooh love this piece Alex! I’ve actually been pitching a few articles about this lately as it really feels like the art world is opening up. I’ve often dreamed about strolling into the RA’s Summer Exhibition and selecting a piece to buy but that feels a loooooong way off so it’s lovely to find places like Partnership Editions. I did an interview with an actor recently who introduced me to Counter Editions, that’s another fab one, they’ve got some David Shrigley editions at the mo, still a bit pricey but oh so lovely! Quick question… I actually tried and tried to find an old LA map to frame when I was last in LA and couldn’t find anything, do you know of any particular places to rummage? I found some fab postcards at the Melrose Trading Post but no maps! 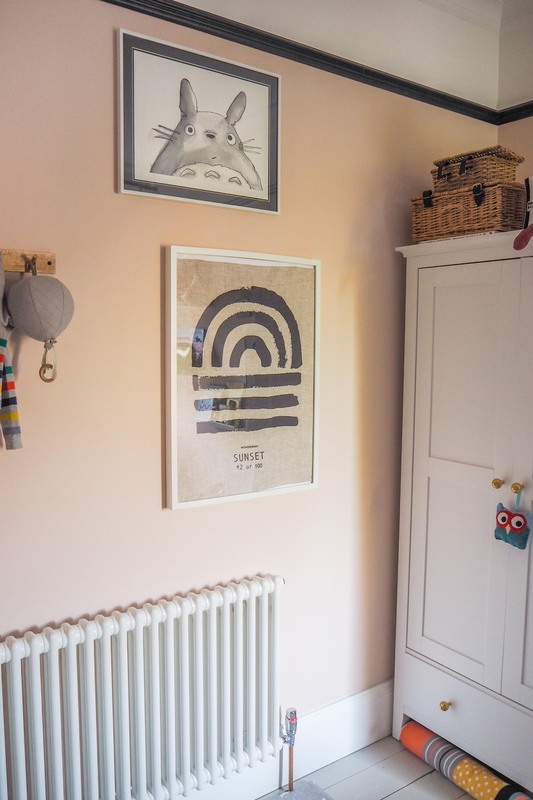 Love this Alex – thanks a million – I was aware of quite a few that you listed but am thrilled to be introduced to Hotel Magique – how cool are their prints! 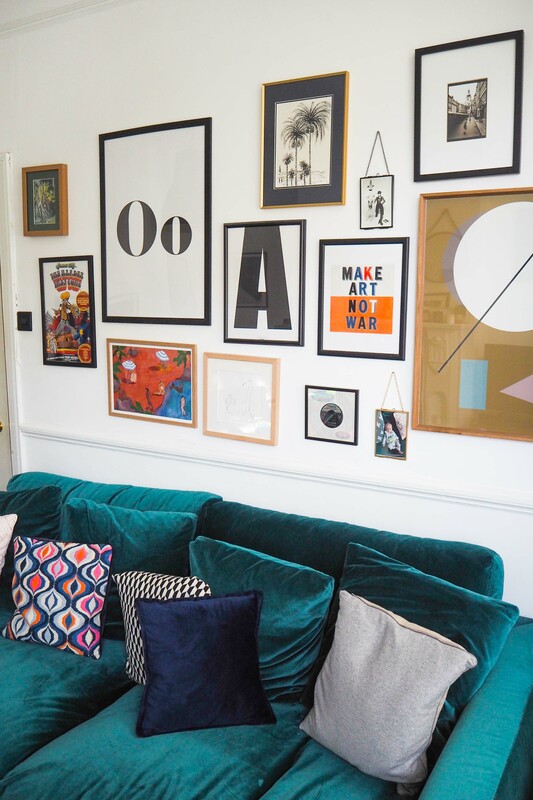 I totally agree that it takes a good few years for the gallery wall to evolve and mature – I love that journey tho and I also love the stories that sit behind each and every piece collected. Thank you for such a fab post! Great article and some ideas I want to check out! One other way to collect art is to go into a gallery wherever you happen to be on holiday. Some of the things will be expensive but there is often a rack of prints or smaller one offs and frequently they are by local artists. I have bought prints and original art for less than £50 in everywhere from Southwold to Vietnam this way. Love your blog and really enjoyed this post. As the owner of a small contemporary art gallery in Brighton I would just like to add that buying from student shows can be a great was of buying affordable art from those right at the start of their artistic journey. We often go to end of year or degree shows and have found some amazing gems! Hi Alex. Thanks so much for featuring Original-Art-Under100.com – The UK’s most affordable original art website. Some fantastic tips for alternative sources of art too. Best wishes, Bob. Love this! So many people are scared of “art” but as you’ve said ANYTHING can be art. I was an art tour guide for years and the first thing I would say to my groups was, there’s no such thing as right or wrong when it comes to art. Everyone’s opinion is important, it’s all a matter or what you like. I love the idea of curating wall spaces, I’m constantly moving things around, it freshens up the space an allows me to swap pieces as I’ve too many to hang at once. Yes, I agree! I think the art world has really changed and opened up via social media and it’s such a good thing! Just wondered if you have tired ‘Command Strips’ to hang your pictures or if anyone else has had good experiences with these? I think proper framing any art is crucial. No one should go for a very cheap frame because as you add on art that’s looking more posh, it makes the cheap frame look even more odd. 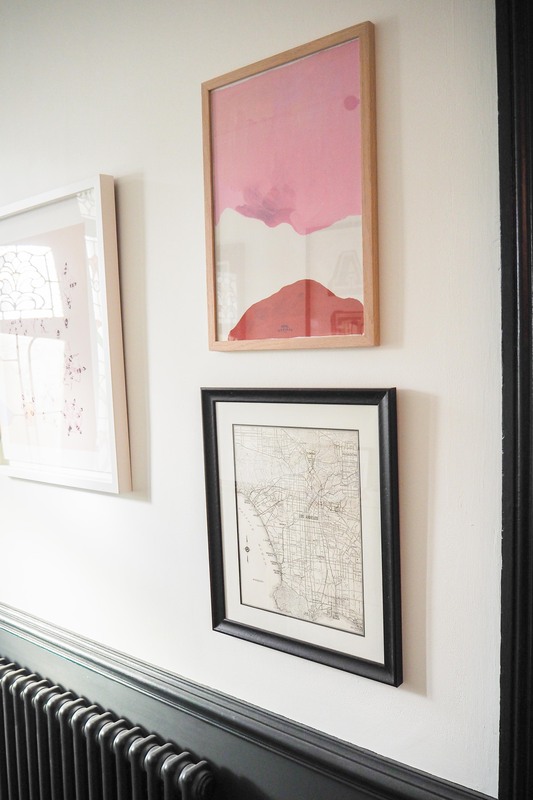 So, you really need to invest in framing the things you love in the best possible way. So many hot tips here, thank you! I always feel so daunted by framing and hanging so it’s great to have it all broken down.. I even have a load of Habitat frames in the cupboard gathering dust! We live in North London too and The Bomb Factory studios in Archway are home to some amazing artists. They have open studio weekends and group exhibitions several times a year that are definitely worth watching out for. There are definitely big discounts for buying direct from an artist as the gallery commission is often ~50% – plus you get to meet the artist!